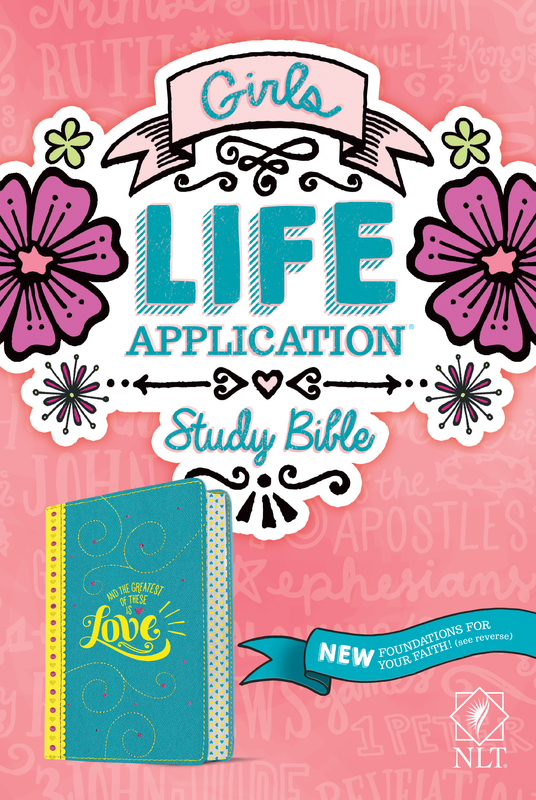 Featuring a fun yellow-and-teal design, the Girls Life Application Study Bible is the only Bible for tween girls based on the #1–selling Life Application Study Bible. This new edition includes over 800 Life Application notes, plus revamped features and brand-new Foundations for Your Faith sections—all intended to help girls grow in their Christian faith. The eight fun full-color sections are designed to help girls learn more about the Bible, understand the Bible’s big story, meet Jesus, know what it means to follow him, learn how to share their faith with others, and gain practical faith and relationship skills that will help them live out what they believe.